Dallas plumbing services can help you out with an assortment of problems. Whether it is hot or cold in the Dallas/Fort Worth area, either can cause problems. Its the plumbing goal to keep water running in your home either way. 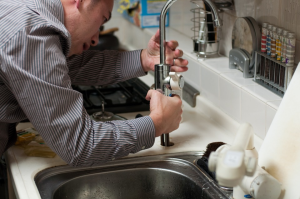 By choosing a talented and qualified plumber, you can limit the risk of additional issues. Just look at some of the services a plumber can offer to you. Dallas Plumbing Company Can Solve ANY Plumbing Problem! You can get a Dallas plumber to clean out your drains as necessary. A plumber can work by using only the right solutions and procedures to clear out anything that may be building up within your drain and its surrounding pipes. In some cases a full analysis of the drain is needed to determine what cleaning solution is right for the job. This is due to all backups being different in terms of their pH levels and how they can add up over time. A follow-up visit may be planned too. This is to see that whatever has been done is actually working. Pipes in your home can also be fixed by a Dallas plumber. These include pipes that leak, ones with cracks and even cases where pipes might have become dislodged due to the ground under your property settling or shifting. Pipes must be checked and reviewed well to ensure that they are strong enough. They have to be powerful to the point where nothing wrong can come about within the setup. Clean water is critical to any home. We all need water to drink and it’s especially critical in the summer season to have water for drinking and for maintaining a lawn. However, water that isn’t properly filtered can struggle with toxic compounds that might get in the way. With this in mind, you need to get a filtration plan up and running within your home. A proper filtration service can help you ensure that the water you have is kept in check. The filter might work with a great setup that is attached to your sinks or other plumbing fixtures. This will have to be checked on a regular basis to ensure that the filters that are used are kept with care. 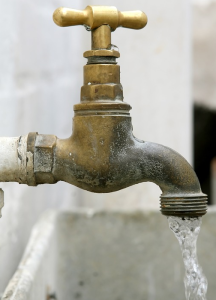 Backflow testing can be used for your plumbing needs as well. A plumber can work by testing how the flow in your plumbing goes to help you see how well the water in your home is moving. When checked properly, it will be easier for you to get the most out of anything you want to handle in your plumbing setup. You must look especially well to see that the testing shows that harmful bacteria or other dangerous particles aren’t getting in the way of the flow of water in your home. You must be certain when getting your plumbing setup ready that you’ve got a talented plumber who can help you out. You can contact Dallas Plumbing Company to learn more about what you can use and how it all works as needed. This entry was posted in Plumbing Services and tagged dallas plumbers, dallas plumbing services by Whit Kinser. Bookmark the permalink.